Randall Kimball, President, co-found Vermont Mechanical in 1988. When Vermont Mechanical was purchased by Encompass Mechanical Services in 1999 as part of an industry-wide national consolidation, he served as the New England Regional President for the publicly traded company, managing the operations of Encompass Companies throughout New England and New York. Randy ultimately bought Vermont Mechanical, Inc. back from Encompass in 2002. With an architecture degree from Vermont Technical College and 34 years in the mechanical-systems industry, Randall has experience doing everything from project management to design, engineering, finance and architecture, but now focuses primarily on fostering the type of innovation and growth necessary to make Vermont Mechanical an industry-leader in mechanical systems. When he’s not at the office, Randall enjoys spending time with his family out on their boat during the summer months, or on the ski slopes during the winter. Amy Poirier was named Vice President of Vermont Mechanical in 2013, and has been with the company since 1998. A U.S. Veteran, she served six years of active duty in the U.S. Air Force in the U.S. and England in Materials Management and Disaster Preparedness for chemical and biological warfare. 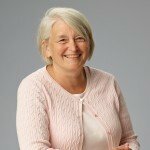 She also served six years in the Vermont Air National Guard while concurrently entering the mechanical services industry during the mid-80s. 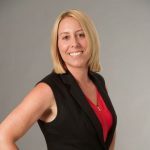 In the seven years prior to being named vice president, Amy led the Operations Department at Vermont Mechanical, giving her the kind of hands-on experience she now draws upon to influence long-range strategic planning for Vermont Mechanical. Amy’s environmentally conscious business approach is also echoed in her personal life, where she enjoys organic gardening and all things creative, including fabric quilting, sewing, photography — and her family and grandkids. 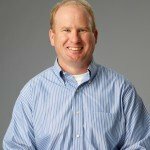 As Chief Financial Officer, Todd brings his many years of financial leadership to Vermont Mechanical while leading accounting and finance for the company. 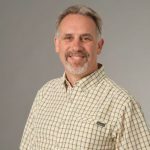 He works closely with project managers and the Vermont Mechanical leadership team on developing projections and budgets as well as handling matters pertaining to accounting compliance. Todd is a CPA with experience in public accounting, the energy industry, and insurance. When he’s not crunching numbers, Todd enjoys spending time on the golf course and skiing with his children. 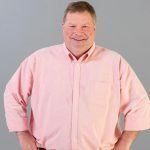 As Director of Human Resources, Glen serves as a source of advice and support to the Vermont Mechanical leadership team in the areas of employee relations, benefits administration, wellness and safety, worker's compensation, compensation & benefits, training, policy development, recruitment and employment law. 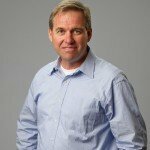 His industry experience includes software, IT, manufacturing and staffing services. He is a certified Professional in Human Resources (PHR), as well as a Society of Human Resource Management Certified Professional (SHRM-CP). Outside of the office he enjoys spending time with family (including three dogs), playing golf, boating, cooking and home improvement. With a long history as a project coordinator and project manager at Vermont Mechanical, Craig Butkus is well-versed on the company’s strengths and core competencies. 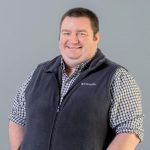 As the Corporate Business Development Manager, Craig concentrates on the relationships that are at the core of Vermont Mechanical’s business, from building new business partnerships, to maintaining and strengthening ongoing relationships. 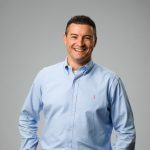 He often draws upon his experience as a former project manager to help evaluate the scope and progress of projects to ensure they’re meeting customers’ expectations. As a former fire chief, Craig’s experience with public-safety regulations also helps him to assess the safety of mechanical structures — a skill he says he unconsciously practices whether he’s on a jobsite or in the bleachers of a stadium watching one of his three kids play hockey. Over 30 years experience in the Plumbing & HVACR industry, the first 23 of those spent in sales and management. 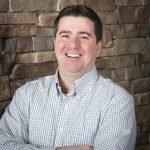 While working closely with over 100 distributors and product manufacturers as well as a customer base that included residential, commercial, manufacturing, & mechanical contractors, Kevin gathered invaluable product knowledge that currently gives him a distinct advantage when it comes to his role as Corporate Sales with Vermont Mechanical. When not providing solutions to meet our customers needs, Kevin enjoys competitive antique tractor pulling during the summer as well as fall hunting and winter ice fishing. A longtime employee who has been with Vermont Mechanical since 1988 as an estimator, project manager and now senior project manager, Glenn is highly experienced at keeping projects on time and on budget. He manages a large team of project managers and works closely with the project foreman and general contractor to ensure projects are being completed to the scope agreed upon. 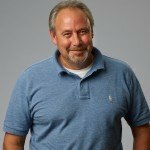 He’s involved in all aspects of plumbing, HVAC and service work, from estimating and design/build, to project completion, and is frequently out in the field communicating directly with project foremen and general contractors. Glenn, who says he thrives on the daily challenges presented in the mechanical-services industry, is also a professional furniture maker who built many of the desks in the Vermont Mechanical offices and fills his free time with woodworking projects completed in his home workshop. 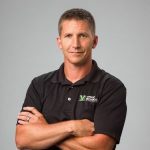 As Project Manager at Vermont Mechanical, Phil Bresnahan works across the full range of HVAC design and installation, including planning, design, execution and customer training. As he has a finger on the pulse of projects from beginning to end, Phil spends time managing in-house and contract resources to keep projects on budget and on schedule. He enjoys working on mechanical systems and has years of training and experience with DDC control systems. He has also been heavily involved in modernizing the University of Vermont Medical Center’s mother-and-baby ward. 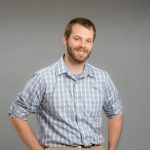 A Vermont Mechanical employee since 2010, Phil is an avid hockey player and frequently volunteers at the Flynn Center for the Performing Arts, where he makes sure audiences are cool and comfortable during performances. As Service Department Manager, Tom Ellis leads a team of service technicians charged with keeping all of our installed mechanical systems running safely and efficiently. He and his team also provide technical support to help troubleshoot all aspects of HVAC systems for Vermont Mechanical customers. A master plumber by trade, Tom brings 35 years’ worth of experience to Vermont Mechanical. 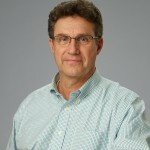 Having most recently run the facilities department at the University of Vermont Medical Center, Tom has a great deal of experience in managing large-scale facilities operations. At Vermont Mechanical, Tom concentrates on running the business side of the service department; when he’s not providing the best technical support possible, he enjoys hunting and fishing. A long-time employee of Vermont Mechanical, Engineering Manager Tom Whitney supervises the engineers and designers who provide construction documents, record drawings, designs and sketches to help on-site project teams install HVAC systems. Tom spends a good deal of time attending planning meetings at the front-end of the building process, but also conducts ongoing site inspections to keep projects moving along, and provides troubleshooting aid after the project is complete. Tom, who enjoys the creative process of listening to a customer’s requirements and coming up with a solution to fit, is also an active freelance musician performing on the French Horn and regionally appearing with the Constitution Brass Quintet, Lyric Theater, Champlain Philharmonic Orchestra and numerous other ensembles. 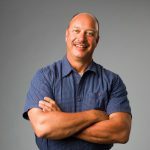 As a Senior Mechanical Engineer, Bill is involved in all aspects of the design-build process, from the initial concept and design, to the installation, implementation, and troubleshooting of any engineered HVAC or Plumbing system. 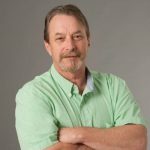 Bill has been with Vermont Mechanical since 2001 and is a licensed professional engineer in Vermont, New Hampshire and New York. He is an active member of the American Society of Heating, Refrigeration and Air-Conditioning Engineers (ASHRAE), and many other professional organizations. 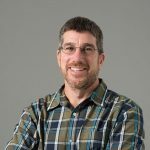 In 2012 he was appointed by the governor to be a member of the State of Vermont Professional Engineering board and served as board chair from 2012 until his term ends in 2016. He was recently asked to be a member of the University of Vermont Engineering School board of advisors, and continues to seek out ways to give back to the Engineering community. An avid skier and past senior-level National Ski Patrol instructor in first aid, skiing and toboggan skills, Bill is also a very good person to know in case of a winter emergency out in the snow. As the Sheet Metal Department Manager, Casey Pollard is in charge of deploying all sheet-metal field personnel to various job sites around the region, working closely with engineers and project managers to ensure the appropriate resources have been delegated to each site. He also manages the fabrication shop, facilities, tools and maintenance departments at Vermont Mechanical, and oversees all metal fabrication produced for VMI engineered systems. 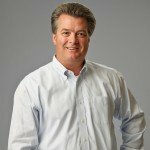 A long-time employee who has been with the company since 1998, Casey also contributes big-picture strategy for the sheet-metal department, including plans for future growth, training programs and general policies. And while his position as a department manager gives him less time out in the field at job sites than he enjoyed as a field supervisor, Casey still spends much of his free time outside hunting, fishing and watching his daughter play sports. Brian Thomas spent 12 years working out in the field before taking over as Piping Department Manager in 2005 — so he’s an expert at assessing Vermont Mechanical job sites around a three-state region. Now he oversees the area’s largest piping crew, ensuring that an average of 30 job sites are supplied with the appropriate staff, tools and resources to get the job done. Brian also works hard to recruit and train new workers for his crews, with a goal of continuously improving and growing the department and the people in it. In order to keep up with teams spread across the breadth of Vermont Mechanical’s geographically expansive operations, Brian is often out on the road traveling, but still finds time to go hunting and fishing with his wife and two kids in his spare time. Chantal has almost a decade of experience with Vermont Mechanical Inc. She has a financial management background and long history with Vermont Mechanical as a Project Coordinator, and Assistant Project Manager. As a Project Manager at Vermont Mechanical, Chantal is highly experienced at keeping projects on time and on budget. Chantal is known for being extremely organized, and responsive to all customers. When she isn’t working she loves swimming, hiking and traveling. Mark has spent the last 25 years working in the environmental consulting field. As a Project Manager with Vermont Mechanical, Mark brings his talents of account management and relationship skills to ensure all of his projects are efficient and within budget parameters. Mark is an avid outdoors sports enthusiast, and enjoys mountain biking, hunting and maple sugaring. Joseph Lattuca is a Project Superintendent with 30 years of experience in the construction industry. During that time, Joe was an integral part of some challenging regional projects such as the renovation of the Historic Brooks House in Brattleboro, Vermont and a new 160,000 square foot state of the art manufacturing facility in Lebanon, New Hampshire. Joe resides in Wallingford, Vermont with his wife and 3 dogs. His two grown sons live close by. When not at work, Joe spends his time working on home projects. Most recently he took on the ambitious task of completely renovating a newly purchased home. Neil has worked in the construction industry for over half a decade with a strong mechanical engineering and project management background. As a Project Manager with Vermont Mechanical, Neil brings his talents for delivering project on-time and on budget. Neil spends his free time with his family and enjoys hunting, maple sugaring, and telemark skiing.